Commercial Cleaning Services of Oklahoma offers commercial and office cleaning options that will keep your space spotless every day. These Oklahoma City cleaning services can be customized to your specific needs. The best part about working with this company is that they offer a 100% satisfaction guarantee. This means that they will always work and clean until you are happy or there will be no charge for their services. The affordable and trusted cleaning company will make your property healthier and well maintained. Since 1969, Jani King has been offering the highest standard in commercial cleaning service in Oklahoma. This company has an expert staff with years of experience. They are ready to tackle any tough job you may have with complete professionalism and care for your belongings. Hiring this team means making sure that your commercial property is cleaned thoroughly on a regular basis. This will not only assist you professionally but also make for a healthier environment for everyone that visits the property. 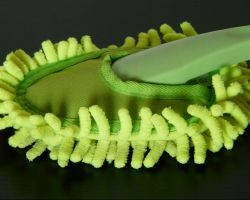 For a maid service in Oklahoma City, OK residents should work with the company that can offer complete cleaning services that go beyond dusting and sweeping. This company can complete all of the house cleaning that you need done including doing the tougher jobs to a professional level like carpet and duct cleaning. The certified technicians will draw on their years of experience and their training to make sure that the house cleaning they provide is thorough and to your total satisfaction. 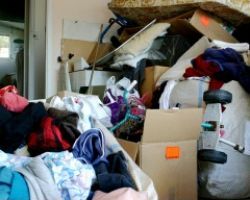 For relatively cheap prices you can hire a housekeeper in Oklahoma City to come to your home on a regular basis and clean the areas that you do not have the time to dedicate to cleaning. If the reviews are any indication then you should consider hiring Locally Maids. This local house cleaning service is known for offering the deepest cleans at the lowest rates. A friendly maid will always be available at a time that is convenient for you to complete their work. Jan-Pro Cleaning Systems can carry out any cleaning job you may have. This company operates as an office cleaning service, medical specialist cleaners, complete school cleaning and more. When you would like deep cleaning on a regular basis that is completed by trusted professionals, then hiring this company is a must. 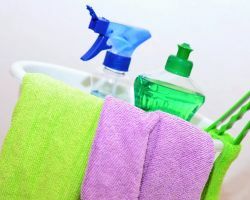 While other companies claim their cleaners are experienced, this one has their technicians go through a 5-week training program to be sure they are ready to uphold the standards of the company.